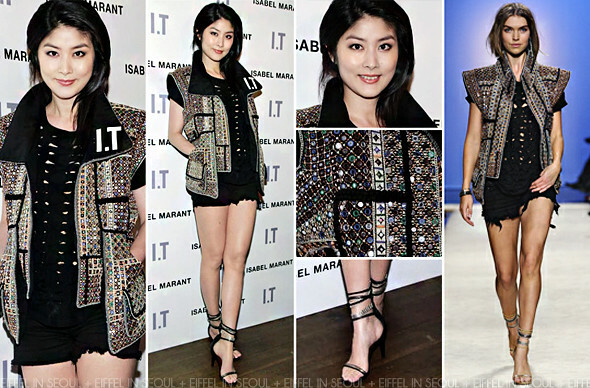 Kelly Chen (陈慧琳) attended the I.T x Isabel Marant launch party in celebration of Isabel Marant's third store in Hong Kong held at Zuma on May 19, 2012. The cantopop singer opted for an ensemble from Isabel Marant Spring/Summer 2012 collection. The highlight of her outfit is definitely the embroidered gilet which features small circular-mirrors. I would die for that gilet, such a stunning piece. I wish she did something about her hair.